No one ever becomes a British ski racer because they think it could be a career choice. You choose to race because you have an insatiable appetite for speed, a passion for pushing yourself beyond your limits. Then you almost become addicted to this opportunity to self develop - to be better than you were yesterday. To arc tighter turns. To be more aerodynamic and to be competitive with the worlds best. And then your body tells you the dream is over? Then what? How do you define yourself if you are no longer a ski racer? Well the simple answer is that you adapt that passion. A passion once focused on yourself becomes an opportunity to inspire and educate others on both the valuable lessons you learn through sport and the pure art of skiing quicker! I am so lucky to have adapted quickly into multiple new roles in life since i retired. Business Owner. Wife. Mother. TV Presenter. Inspirational speaker. Life coach. I am so proud of each and every challenge i face by wearing multiple hats. I am married to my business partner. As a former World Cup downhiller Dougie Crawford and I both have the same dreams of nurturing the huge talent we have in this country. 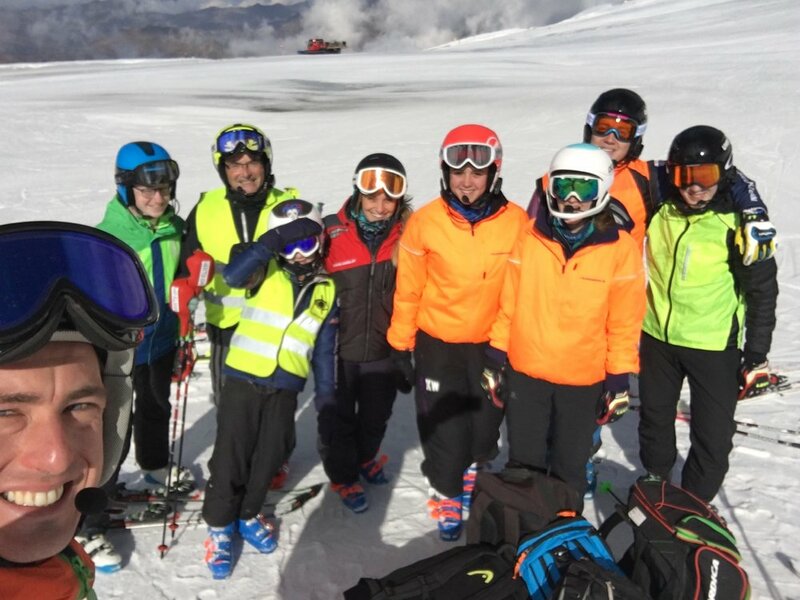 But we don't just want to make fast skiers - we want to use skiing and sport in general to develop amazing young people full of confidence in themselves AND their dreams. And so CDC Performance (Carpe Diem Coaching- something my mother Eve, a big fan of LSC, said to me every morning of every race i competed in!) was born. And probably the most important - being responsible for the happiness of my own little family. One of the best days since Locki was born was our first ever family ski day. With huge pressure on his tiny, squidgy shoulders to love the sport we were apprehensive how the day would end. Well his continuous yells of 'more, more, more' quickly answered our fears. We don't need him to be a ski racer, far from it, our only aim as parents is to make sure he gets as much enjoyment out of being in the mountains as we do. Life is a rollercoaster. Sometimes I yearn for a 9-5 just so I know where I will be in a year from now. But at the same time I love the varieties of Chemmy that I get to be and wake up every day with a thirst for life which i wouldn't have any other way!